To improve traffic to your website, SEO is one of the first and still strongest types of digital marketing. Still 94% clicks to the website links are organic and not paid. SEO is not automatic process but it needs a bit more attention to find the proper keywords that may work for your website to increase traffic. Additionally, the websites who sell services or products, bringing traffic to their websites is not enough, it needs conversion – from visitors to customers. This can only be achieved with the proper use of keywords. 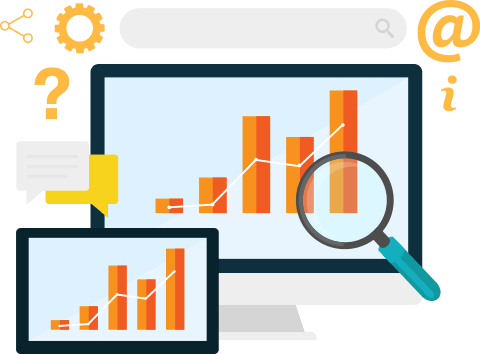 Our experts are able to plan and set keywords that can increase sale conversion to your website. Pay Per Click (PPC) is one of the paid service available that can also help to improve the website traffic. One of the best type of digital marketing is a Content Marketing. It includes almost all the best stuff of digital marketing that works in harmony. Our marketing staff will search and find out what best and genuine contents to add on your website that may increase traffic. Content marketing can be anywhere – from YouTube to podcasts, tweets to infographs – but most often it’s based on blog content on your website, which can bring new traffic through search engines. 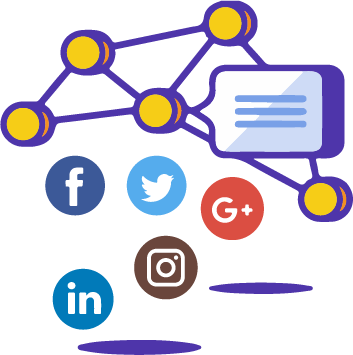 Almost every single internet users is also connected with any social media platform that’s the reason, it’s a great way to get exposure and connect with your customers. Running some attractive campaigns to get customers’ attentions from via social media platforms is actually a Social Media Marketing. This is something you can do at your own but it more depends on the number of followers of your profile or likes on your page you already have. We can help you to run different campaigns to increase likes or following on your social media accounts to help you to increase the number of only interested people. To know about Automatic Facebook Marketing Tool, click here.